For years now, video games have been divided into two categories: 2D and 3D. With the advent of 3D televisions and portable consoles, those definitions might be antiquated. Time for an update! We need a new way to refer to gaming on a 3D screen. I came up with "Full 3D". 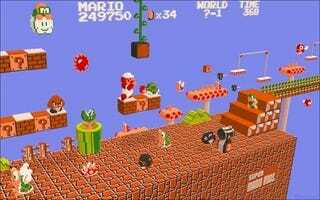 And then, for example, Super Mario 64 would be simply 3D? But then, that might confuse those who do not follow gaming. Perhaps all these older games will be retro-actively displayed in Full 3D on new game consoles? Suggestions are more than welcomed.